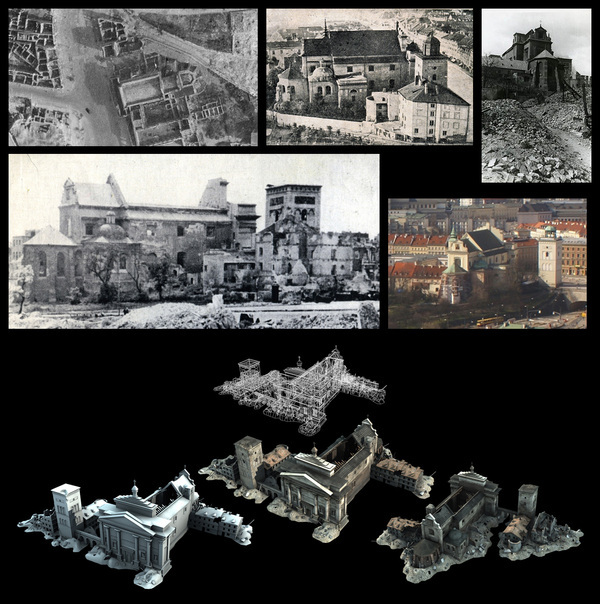 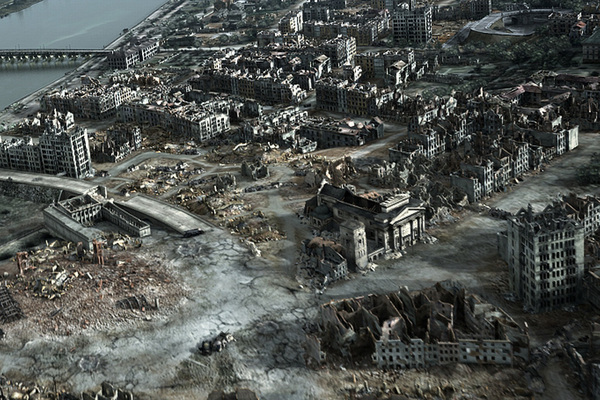 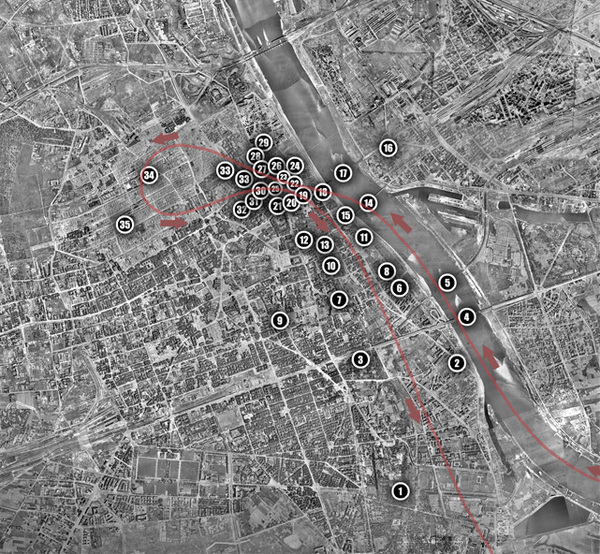 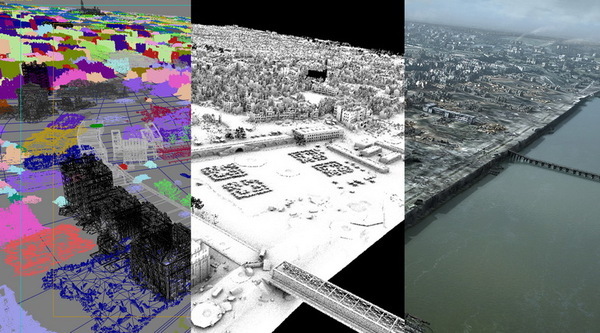 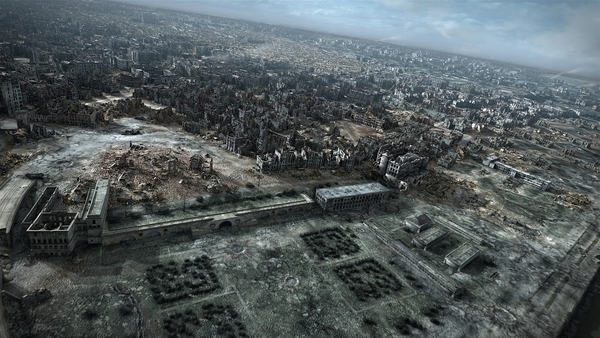 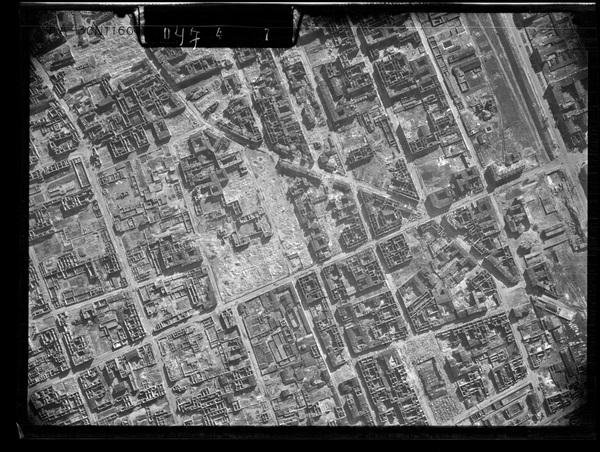 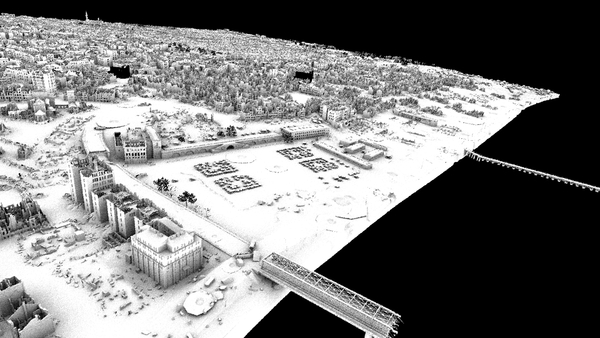 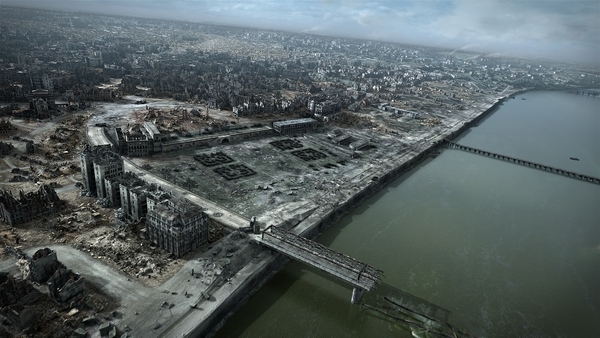 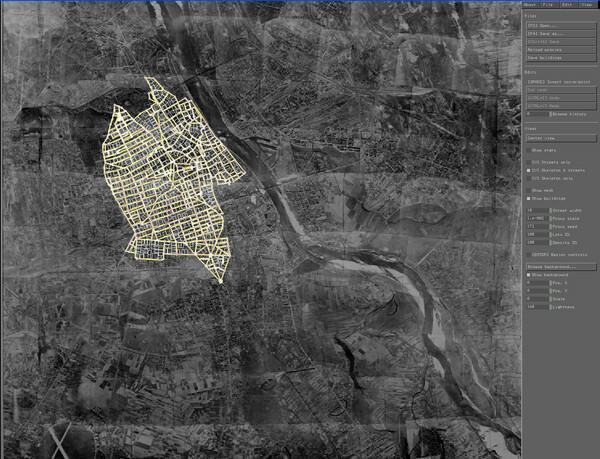 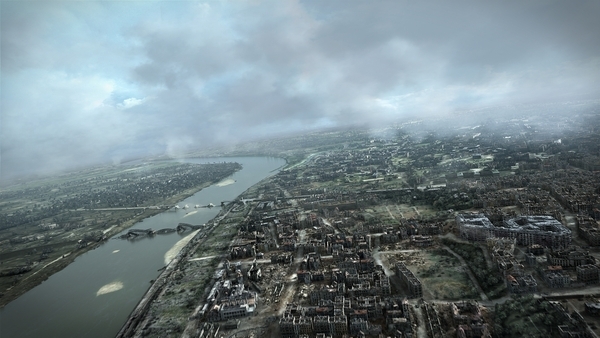 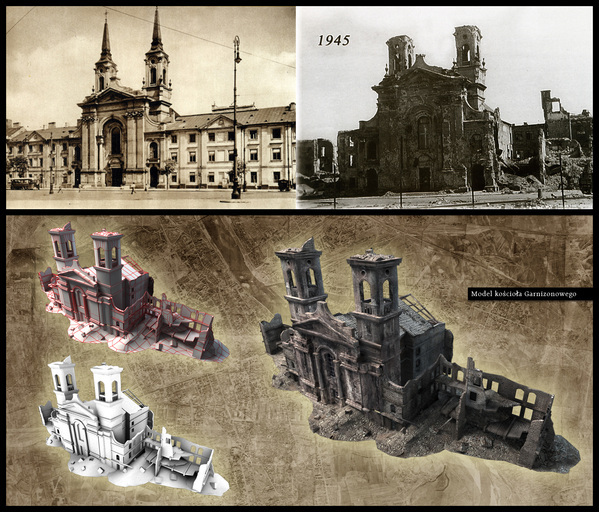 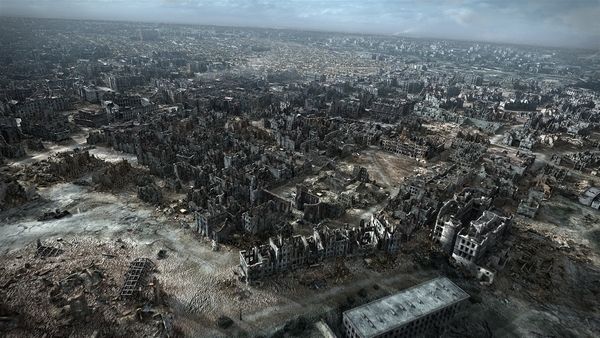 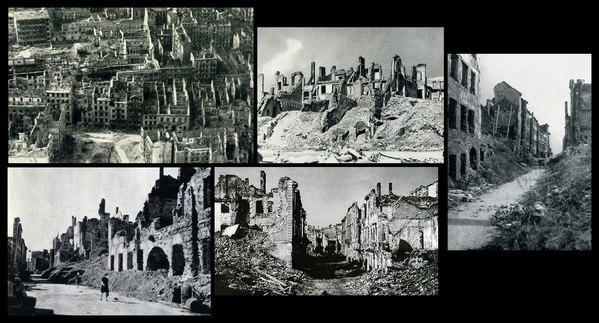 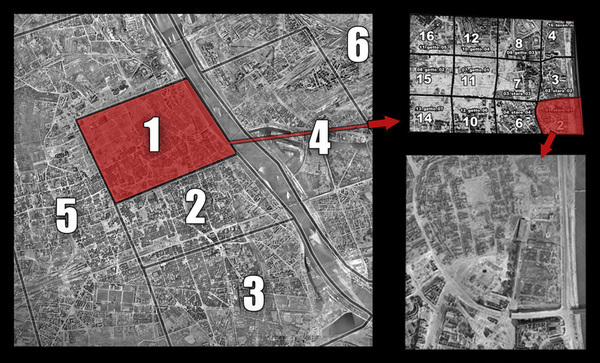 Digital stereoscopic reconstruction of Warsaw destroyed during World War II. 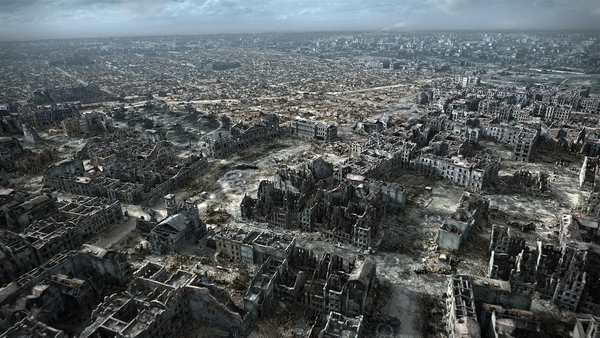 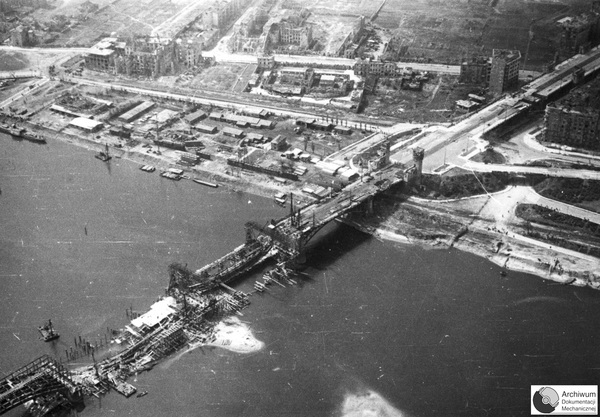 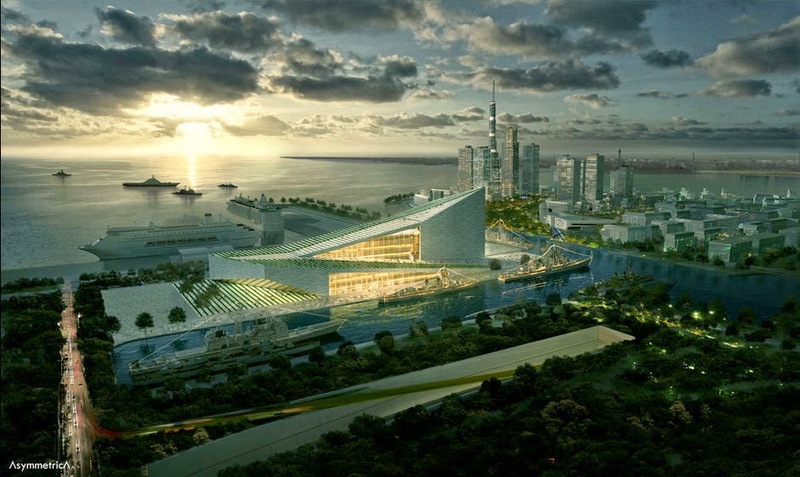 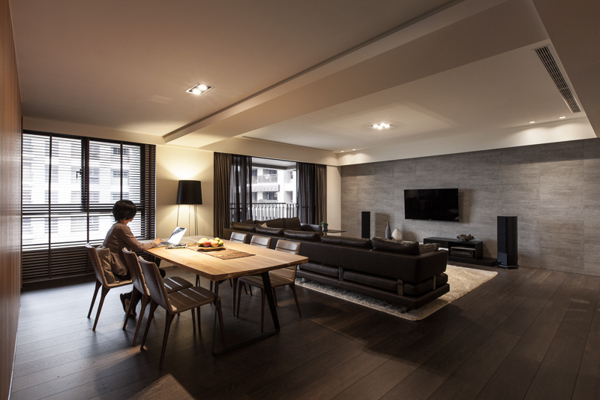 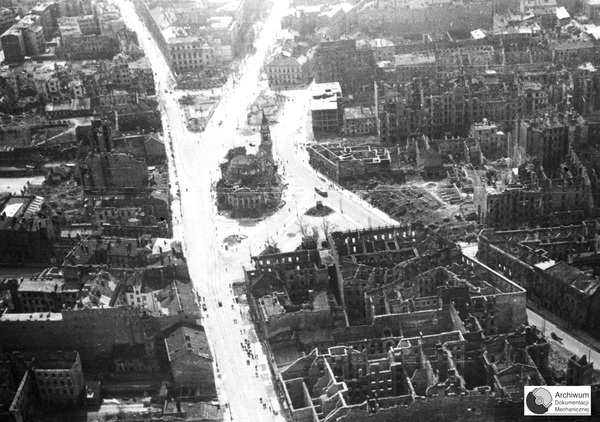 The film depicts a flyover of the Liberator airplane over the razed and depopulated city of Warsaw, portraying the sheer scale of destruction intentionally wrought upon the capital following the 1944 Warsaw Uprising. 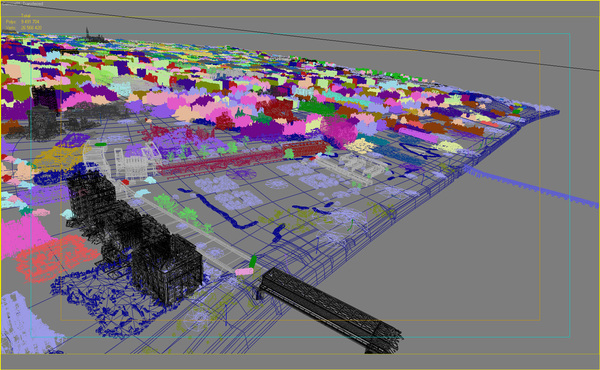 Compiling the source material and processing the enormous amount of information took over a year.